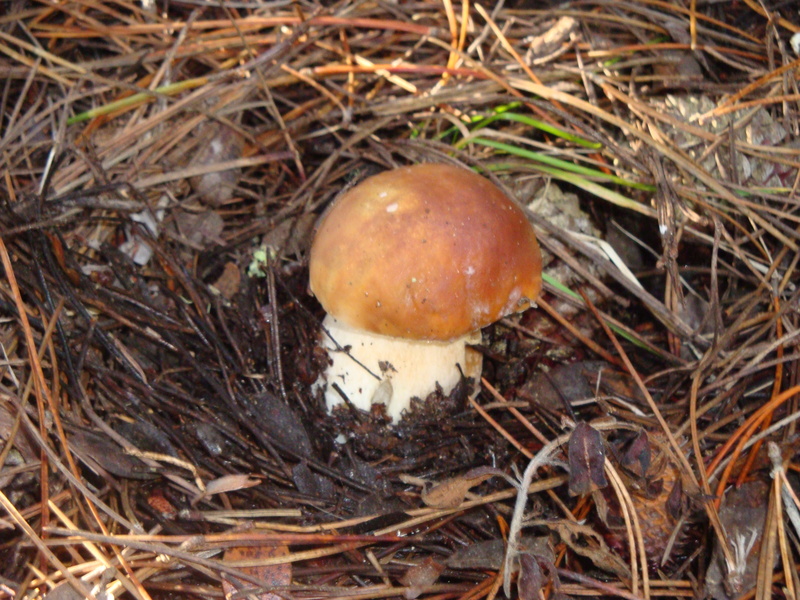 Coccora (Amanita calyptroderma). Highly esteemed by many, but closely resembles its deadly poisonous cousins – unless you really do know the difference, do yourself a favor and don’t try it. 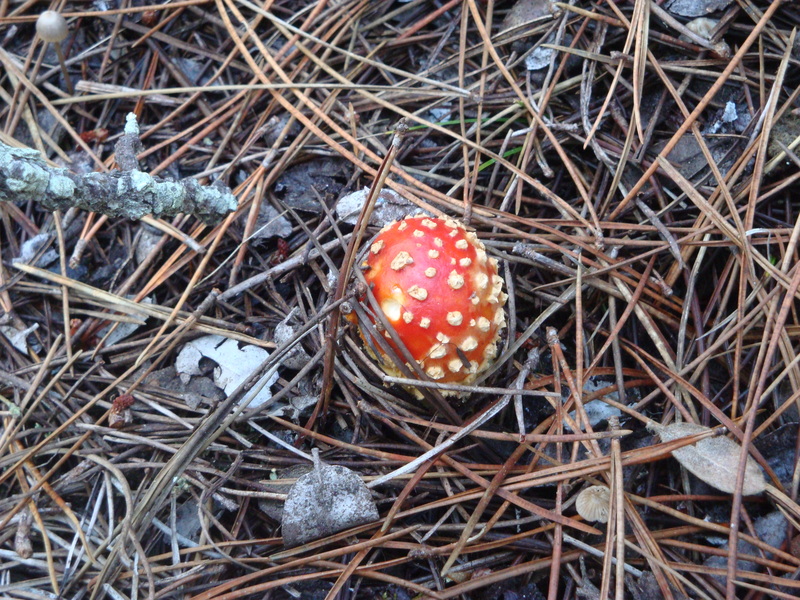 Fly Agaric (Amanita muscaria). The sacred mushroom of the Siberian shaman is also the world’s most iconic mushroom. It is moderately toxic and can be highly hallucinogenic. But be warned: the “high” produced by the active ingredient, ibotenic acid, is NOT recreational. Those expecting pleasant psilocybin dreams may find they have, literally, bitten off more than they care to chew. 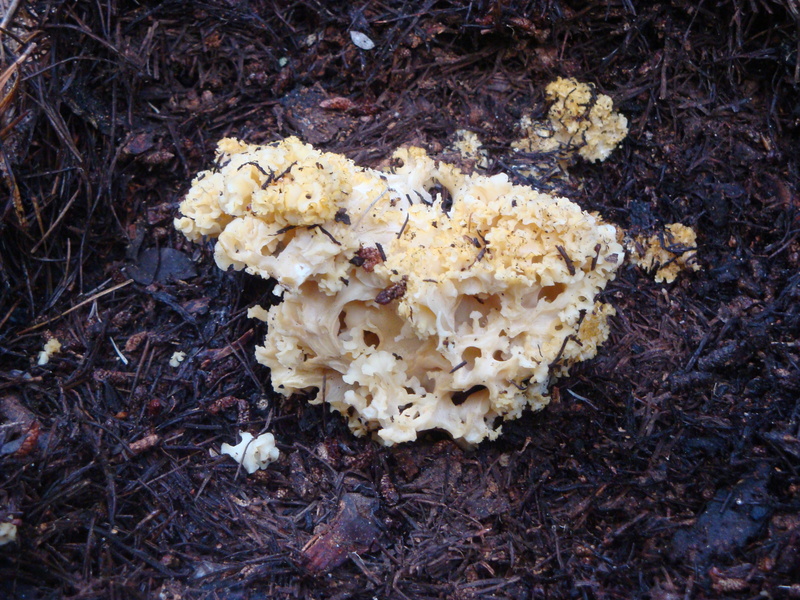 Cauliflower Mushroom (Sparassis crispa). This intricate and delicious fungus springs from the ground at the base of pines. Slime attracts slime. 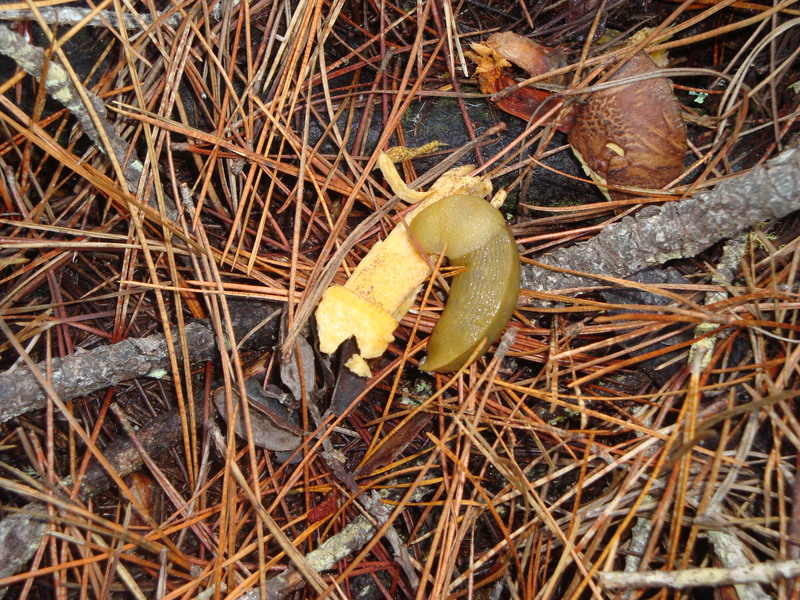 A slug feasts on the stipe of a Poor Man’s Slippery Jack (Suillus fuscotomentosus). While (technically speaking) edible, only a slug wouldn’t be put off by this mushroom’s coating of slime. Boletus Rising. King Bolete (Boletus edulis) raises his head above the duff to survey his dripping forest kingdom. For more on searching out this prized fungus see our older post, Gathering Boletes. Please Note: This post is intended for entertainment purposes only. 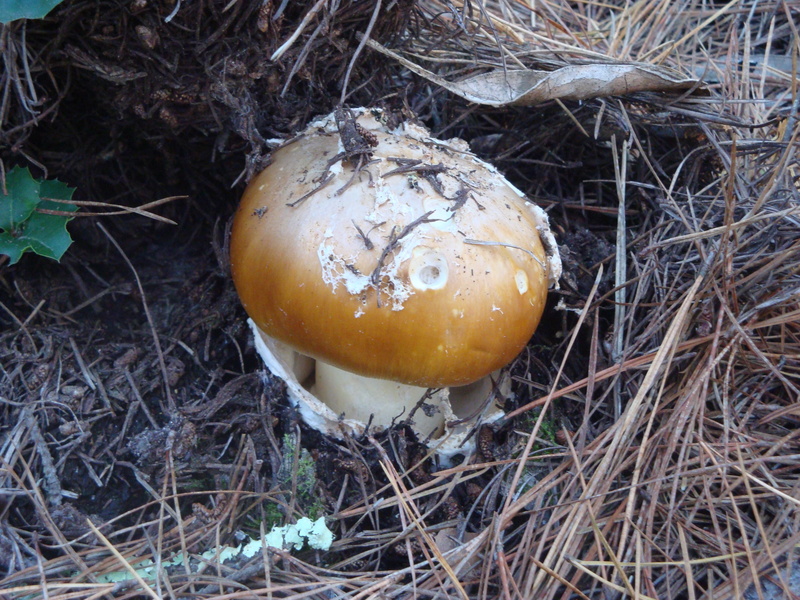 Only a suicidal maniac would ever consider eating wild mushrooms – which are uniformly deadly poisonous. The ones growing in our favorite patches are especially lethal. You have been warned! This entry was posted on Saturday, November 27th, 2010 at 3:02 pm and is filed under Fungus. You can follow any responses to this entry through the RSS 2.0 feed. You can leave a response, or trackback from your own site. Good advice concerning the Fly Agaric. It’s definitely a very different sort of trip than LSD or Psilocybin. Ever been on an elevator going up and down at the same time? That happened to me once. Also of concern is kidney damage. Legend has it that Siberian shamans drank the urine of reindeer that had eaten the mushroom. Supposedly their kidneys eliminated the toxin but not the hallucinogen, muscimol, but I don’t recall seeing that many reindeer in Big Sur except on Christmas Eve.